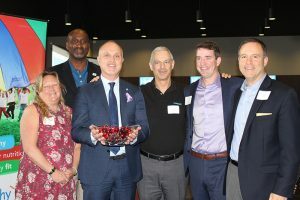 It’s been 10 years since the Horizon Foundation for New Jersey and the New Jersey YMCA State Alliance kicked off Healthy U, a collaborative partnership program designed to combat childhood obesity through nutrition education, physical education and family involvement. 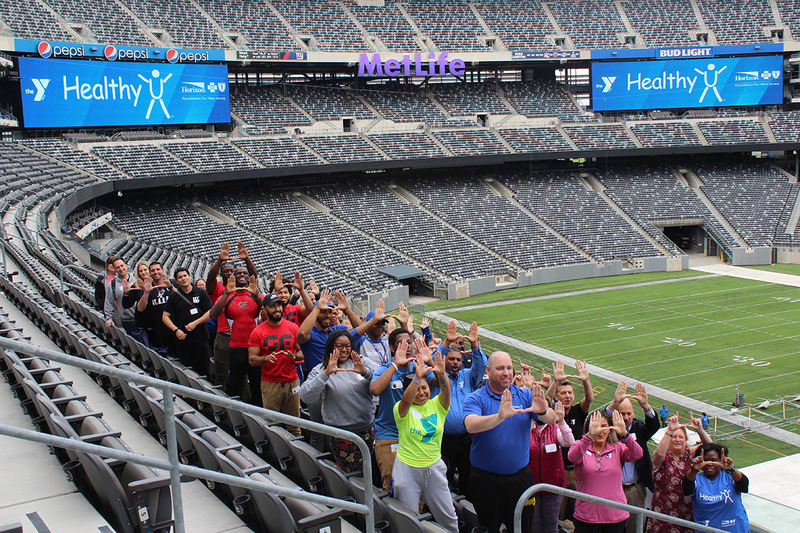 On Friday, May 18, more than 100 Healthy U Champions and partners from the New Jersey YMCAs and schools came together to celebrate 10 years of impact during the NJ YMCA State Alliance Healthy U Spring Symposium. The Symposium was held at the MetLife Stadium and included a formal program with remarks from Jonathan R. Pearson, Director of Corporate Social Responsibility for Horizon Blue Cross Blue Shield of New Jersey and Executive Director of The Horizon Foundation for New Jersey,and Dr. Darrin Anderson, Executive Director NJ YMCA State Alliance. Keynote Speaker Golden Martinez, founder of GetFocused.org talked about how we can be all Hero Makers through our interactions with children. Duncan Van Dusen, Founding Executive Director of CATCH Global Foundation also presented the 2017 CATCH Award for Excellence in State Health to The Horizon Foundation and the New Jersey YMCA State Alliancein recognition of exemplary efforts to promote and support health and wellness in New Jersey through the CATCH curriculum used in the Healthy U program. After the presentation, attendees enjoyed various physical activity workshops and lunch. For more information on this program contact your local Y or Sue Cornell, Healthy U Director, NJ YMCA State Alliance, at sue.cornell@ymca.net, or visit www.njymca.org. Follow on social media at @YHealthyU.